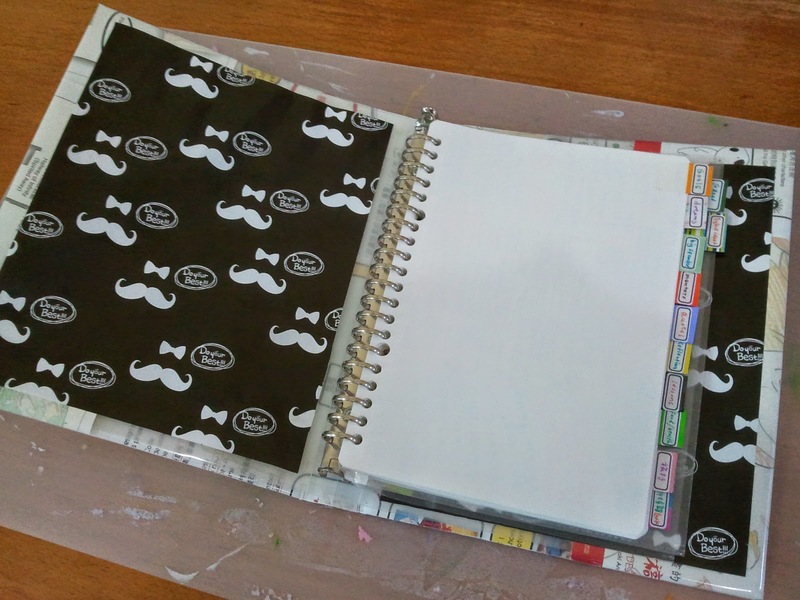 This is my super journal where I put all my reflections and ideas etc inside. So I really want to make it lovely and functional. 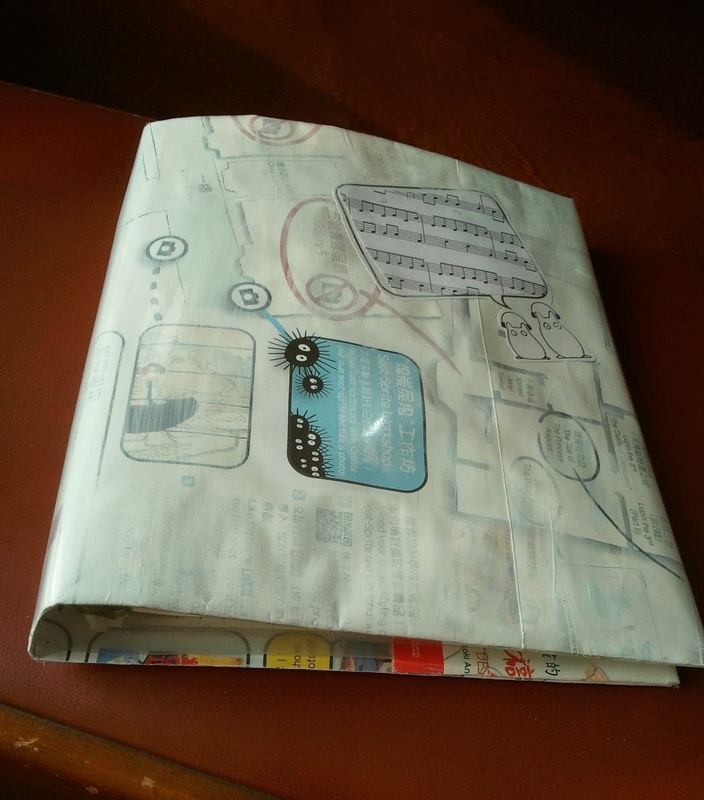 I used an exhibition poster as a wrapping paper. I muted the text and graphics with white acrylic (since I have used up my gesso). I want it to last long, so I also added a plastic wrap. 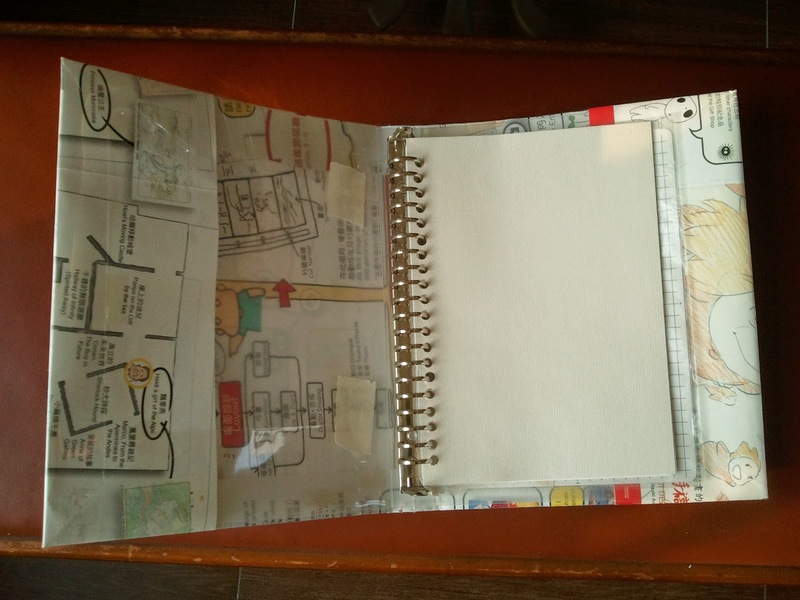 I also want to 'mute' and tidy up both the inside front and back covers. I chose Dali's moustache cos I admire his creativity. 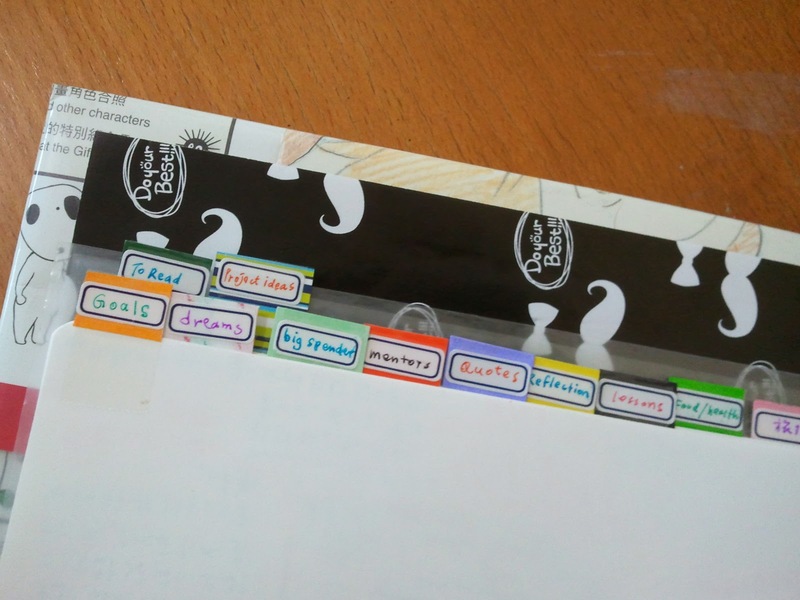 The journal covers so many themes that I need to have a two-tier label system! I love my handmade colorful labels!